Shawn Miller- Shackelford attended Channelview High School where she helped lead her squad to a 41-0 district record. She saw action in four playoff appearances with two of those years making it all the way to the State tournament. She was named to the 1 st Team All state tournament team, District MVP, 1 st Team All district, and 1 st Team All State. Shackelford also landed a spot on the roster for the East All Star Team. As a top recruit for the State of Texas, Shackelford chose to continue her playing career at Lamar University. A three year letterman with the Cardinals, she was able to lead her squad to a Conference Championship (1993) which garnered them a NCAA tournament Appearance in the same year. Her efforts placed her in the 1000 dig career club at 10th all time, ranking 3rd for the season assist record with 1,609 assists, holding the single match assist record against Sam Houston with 92 assists, and currently holding the career assist record with 4,780 assists. She was also selected to the Sun Belt Tournament All Tournament team (’92-’94), was awarded 1st Team Sun Belt All Conference as well as the Sun Belt All Conference Academic team. She received an All Tournament selection at multiple non-conference pre-season tournaments. Shackelford was awarded Pre-Season All-American honors as well as the Babe Zaharias Award Winner in 1993. Shawn started her coaching career coaching for Jefferson County Juniors her senior year in college. She was the director of that club for a couple years and went on to open and run H.I.T. Volleyball Academy in Atascocita. 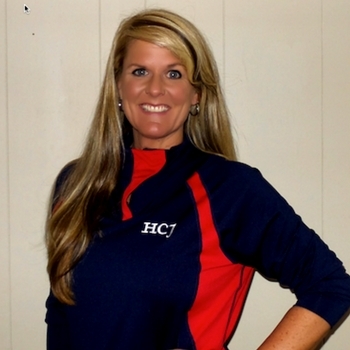 She has been a Varsity coach at Vidor High School,, West Brook High School, Atascocita High School and Hardin Jefferson High School and she served as a Junior Varsity coach for one season at Baytown Sterling High School. Shackelford has been involved with club ball since 1994 and has been the director for HCJ since 2015. Shawn lives in China, Texas with her husband Jason and their 16 year old twins Kassidy and Skyler. She also has a 27 year old son named Stuart Flowers who is married to Taylor McDaniel Flowers. Shackelford has one grand daughter, Rylan Grace Flowers who was born on July 2, 2018.